At Whole Body Yoga Studio our Private Yoga Classes offer a practical option for the achieving your specific goals – whether they are mental, emotional, spiritual or physical. During your private yoga sessions, our skilled yoga instructors will be able to guide you and direct you on achieving these goals. Private yoga classes are also the perfect way to work with special health concerns, injuries, or any other limitations you may experience. 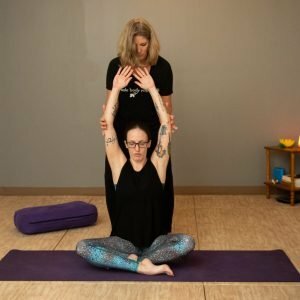 If you are concerned about the possibility of a re-injury, working one-on-one with a private yoga instructor you will learn how to adapt certain postures and use modifications as well as find out if there are specific poses to avoid when in class. Investing in private yoga classes are a great way to invest in yourself. 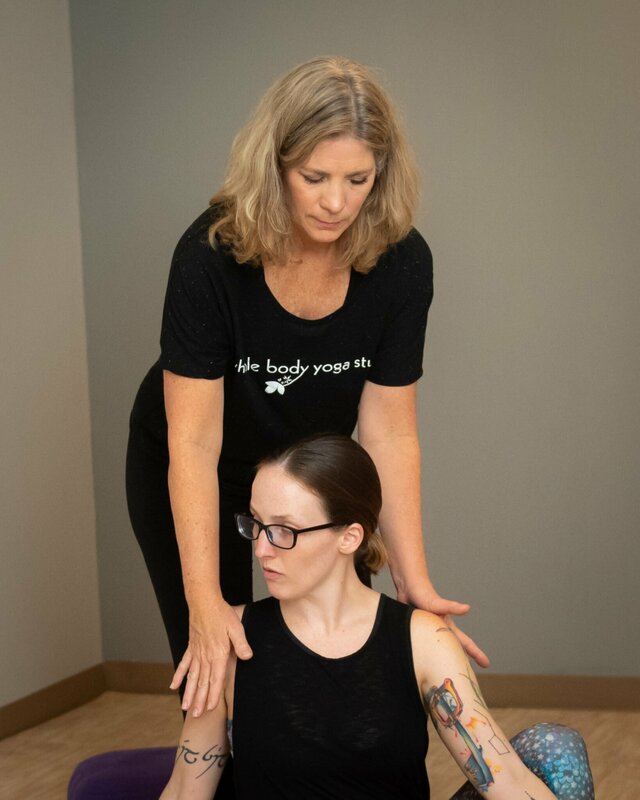 Under the guidance of the WBYS’s teachers you’ll be able to maximize the results of your personal goals and deepen your relationship with yourself and your practice. To get to know our instructors visit the WBYS Teacher’s page. I was 56 years old when I contacted WBYS and met Patty. I was completely new to yoga and always wanted to try it. I started private yoga sessions with Patty which have allowed me to become more physically fit and brought me peace both mentally and emotionally. Four years later, she taught me to use the principles of yoga to breathe and relax, which allowed me to handle the stress and challenges of my professional life. WBYS has a warmth when you walk in which brings me so much happiness. Thank you, Patty, and yoga for changing my life. - Jeanne C.